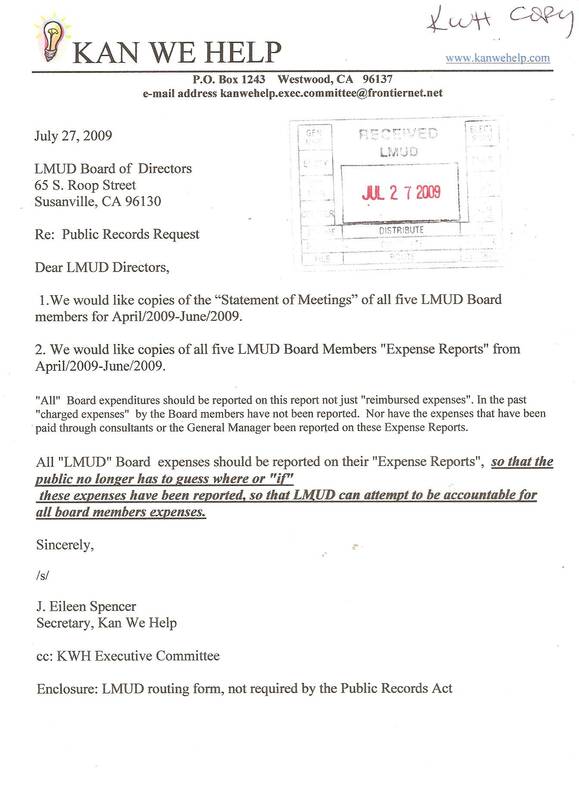 LMUD General Manager admits that all of the Board Members Expenses are not reported on the Boards Expense Reports. This practice continues to hide all of the Board members expenses. This deception was put in place while Frank Cady and Jaimee Jones were legal counsel. 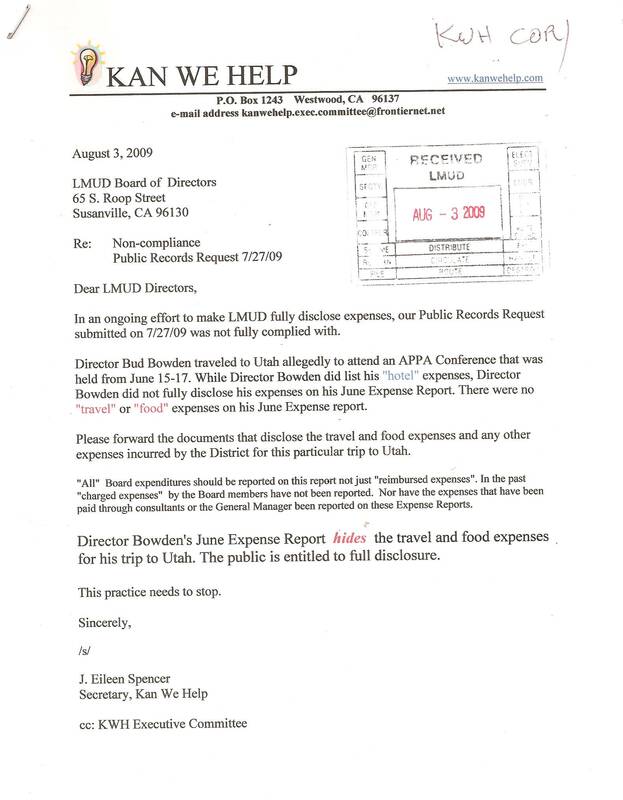 The public is not aware that the Board's expenses are not fully disclosed on their Expense Reports. 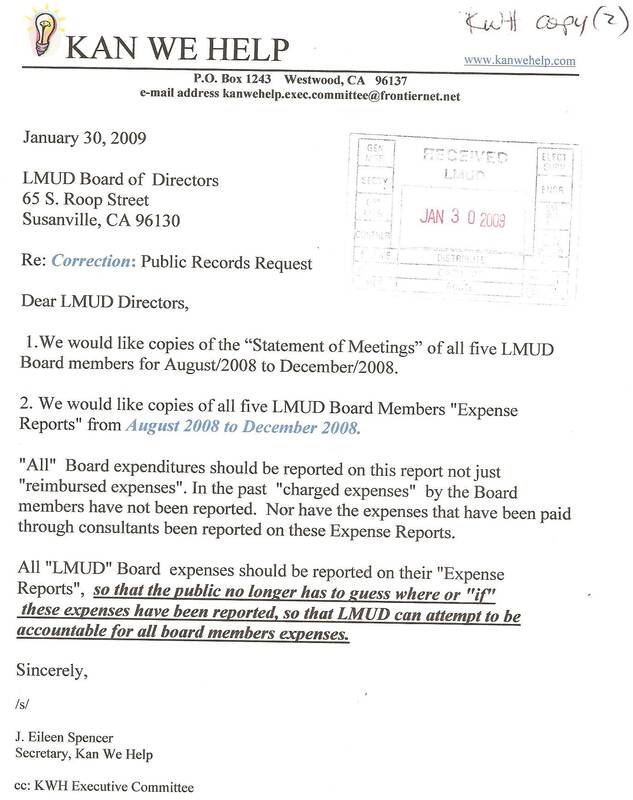 Thousands of dollars of Board expenses are hidden in LMUD credit cards. 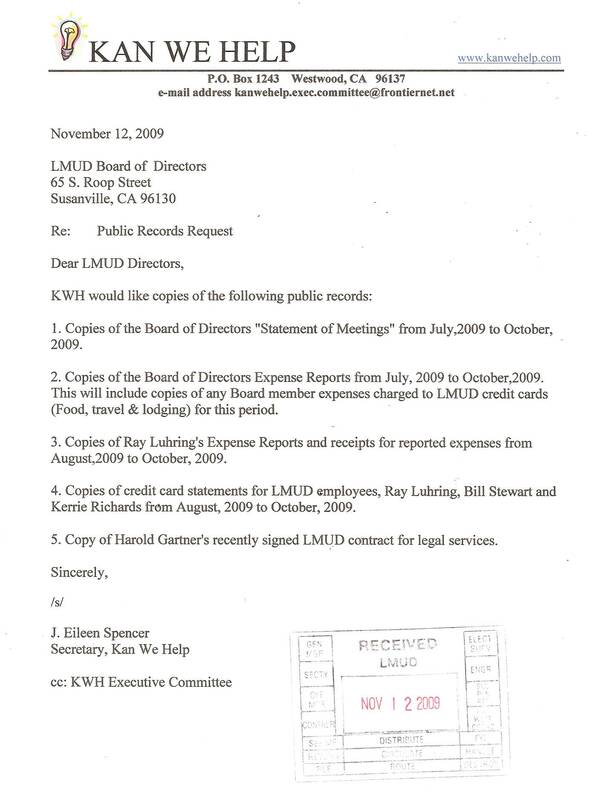 Received 7/31/09: General Manager, Ray Lurhring is doing Public Records Act requests in-house. 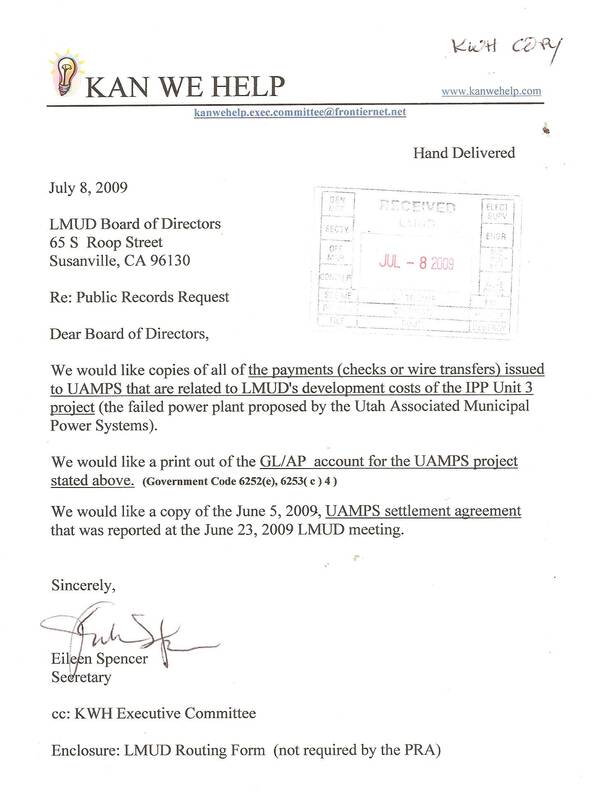 LMUD has no record of the $80,440.08 paid to UAMPS for development costs for Project IPP Unit 3, nor do they have any settlement documents that indicate that LMUD will be reimbursed for the $80,440.08 allegedly paid to UAMPS. 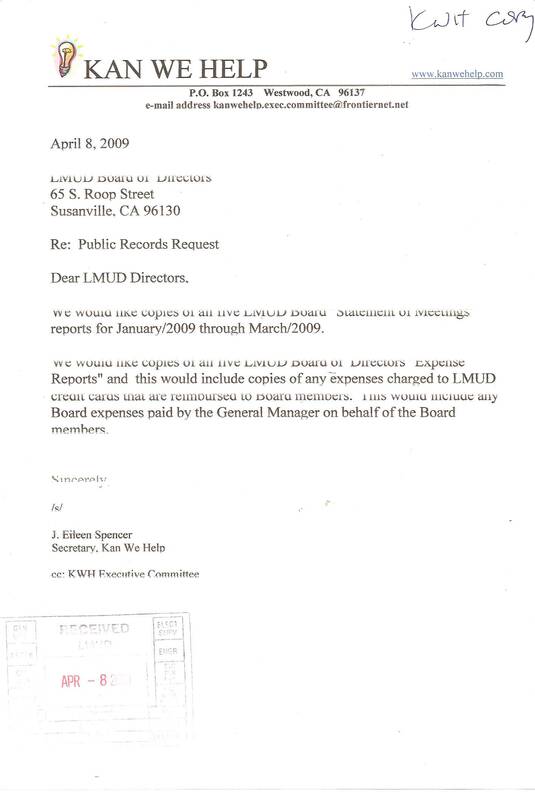 LMUD General Manager continues to process Public Records Requests "in-house". This allows the General Manager to "control" what documents are processed and sent out. This also saves the utility district money. A giant step forward. 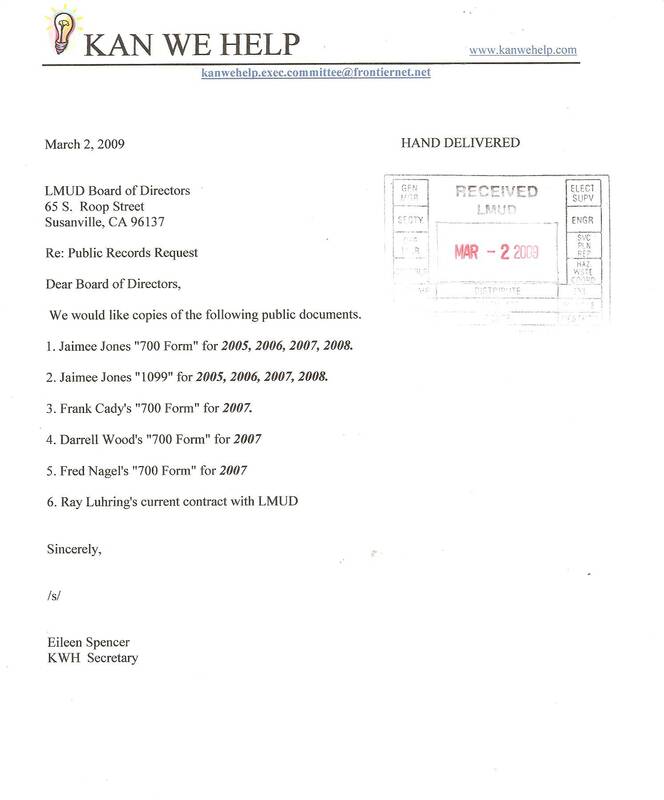 3/6/09: LMUD did not release Jaimee Jones 700 Forms, claiming that they are not in LMUD's possession. 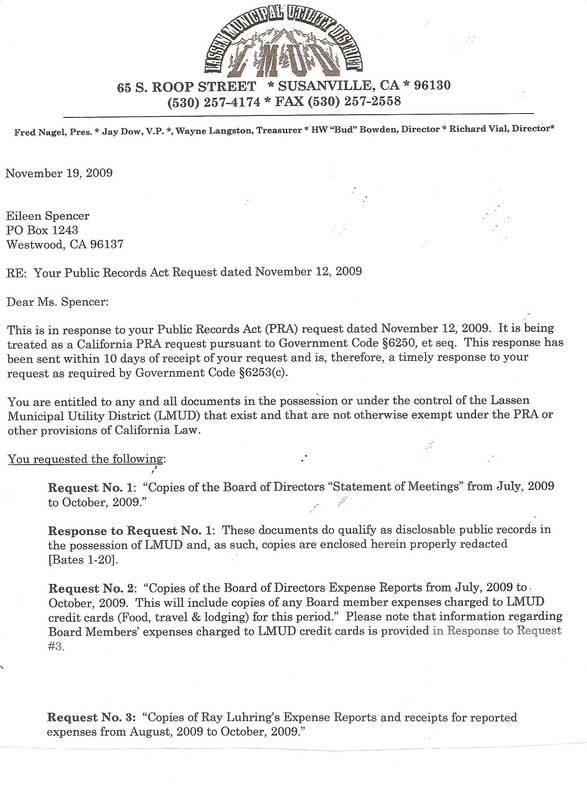 LMUD claims that she is an officer of LMUD, thus requiring her to submit the FPPA "700" Form each year that she was the General Counsel for LMUD. Normally, when LMUD makes a blatant refusal to disclose a "700 Form, they have something to hide. They cannot claim that it is not in their possession when they are required to collect it.